4152601 WD420-3 KOMATSU WD420-3 Wheel Dozer. Spare Parts Catalog. Service (workshop) Manual. Operator's Instruction Manual. 4152602 WD500-3 KOMATSU WD500-3 Wheel Dozer. Spare Parts Catalog. Service (workshop) Manual. Operator's Instruction Manual. 4152603 WD600-1 KOMATSU WD600-1 Wheel Dozer. Spare Parts Catalog. Service (workshop) Manual. Operator's Instruction Manual. 4152604 WD600-1H KOMATSU WD600-1H Wheel Dozer. Spare Parts Catalog. Service (workshop) Manual. Operator's Instruction Manual. 4152605 WD600-3 KOMATSU WD600-3 Wheel Dozer. Spare Parts Catalog. Service (workshop) Manual. Operator's Instruction Manual. 4152606 WD600-6 KOMATSU WD600-6 Wheel Dozer. Spare Parts Catalog. Service (workshop) Manual. Operator's Instruction Manual. 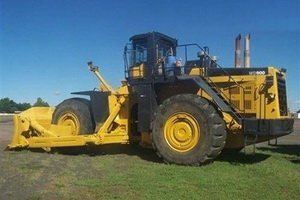 4152607 WD900-3 KOMATSU WD900-3 Wheel Dozer. Spare Parts Catalog. Service (workshop) Manual. Operator's Instruction Manual.